Stocktaking is an unpopular task at most pubs & restaurants, but one that is critical to controlling food costs and improving profitability. Yet, when we speak with restaurant & pub owners, many admit that they either do a poor job at it, or do it seldomly. In most cases, the underlying issue is a lack of structure around the Stocktaking process. Stocktake frequently. For certain items that sell quicker than others you could even apply cyclical counting where you would check them weekly/Bi-weekly. This may help giving more accuracy when placing orders. Complete your Stocktake when the business is closed, either before you have opened or after you’re closed. You cannot take accurate accounts of inventory while goods are being sold. Whatever time you pick, stick with it. If you always take inventory on Tuesdays, but sometimes you do it at night and sometimes in the morning, there will be fluctuations in week to week results. Do your Stocktake before a new delivery arrives and then add the new stock to your counts. Do not attempt to do this while deliveries are being made as double entry will be unavoidable. Clean out and organize your stock areas before commencing your count. Throw out items that have expired, move similar items to the same shelf, face off everything and make it as easy as possible to count everything quickly and in general, tidy up. It could be efficient also to use a stock management or counting app, This sometimes can ease the rush of doing a Stocktake and can also help with cyclical counting for certain items. Something like EasyCount for example. When taking inventory, make part of the practice ensuring that items are being used on a First In, First Out (FIFO) basis. Older goods should be rotated to the front of shelves so they are used first and will not go out of date. Additionally, try to keep the amount of items you have on hand before doing your Stocktake as low as possible to reduce theft and spoilage. Make sure that at least 50% of your count is spot checked. Doing this Ensures complete accuracy and transparency in your results, This would even be the case if you were using external Stocktakers as it is your stock you need the levels to be spot on. Use the same Stocktakers to do your Stocktaking. They will not only increase in productivity, but they will tend to be more consistent also. If you use scales to weigh inventory and measure portions, calibrate them as necessary. This video showing the 8 Different types of waste in LEAN is a great insight into other ways to increase efficiency and all of this coupled together will definitely improve your Stocktakes. The most critical piece of the Stocktaking puzzle is consistency. 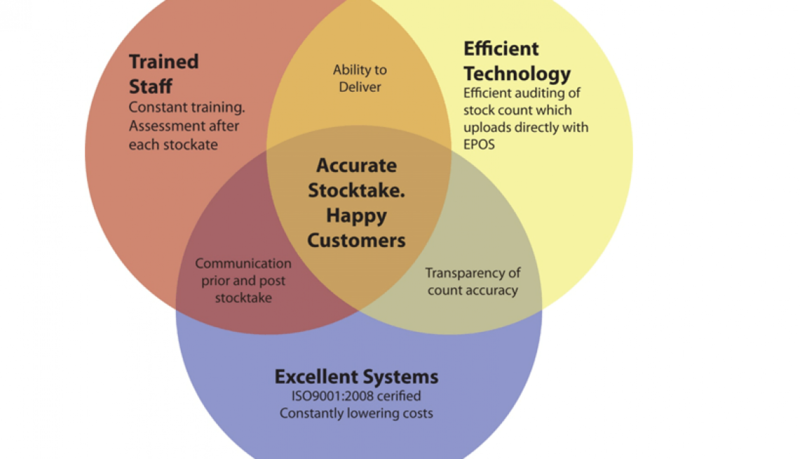 Using the same Stocktakers, Stocktaking at the same time and counting the same items are some of the easiest ways to improve your accuracy. How do YOU choose the right Stocktaker? Believe it or not, the above points are the most popular reasons for people not undertaking stocktaking with Stocktaking.ie. For us as a business that provides businesses with a 100% accuracy service we do find it surprising. your product file/information is being used? figures are not being “plucked from my arse”(as a shop owner once told us about his current stocktaking company)? information being presented is not being distorted so as to make it “look” right? 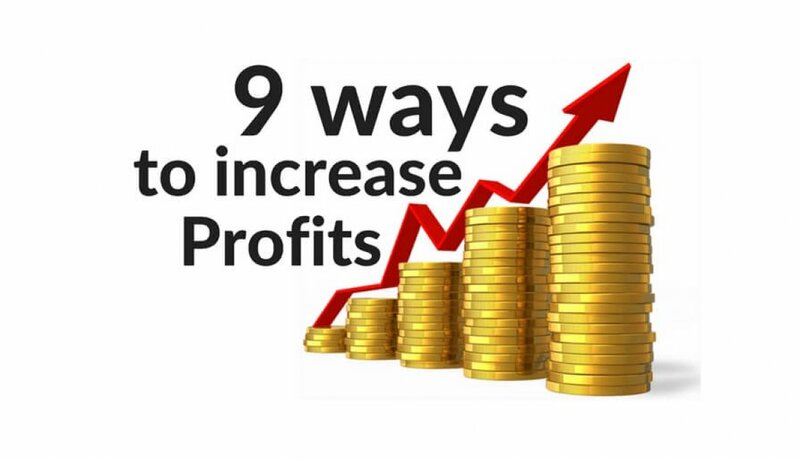 Profitability is measured by accurately having a control on your margins. If your stock is valued incorrectly then you face making incorrect decisions based on inaccurate information. For many business owners they work hard, potter along with the everyday tasks, and for many businesses, they haven’t looked at their margins in quite some time. 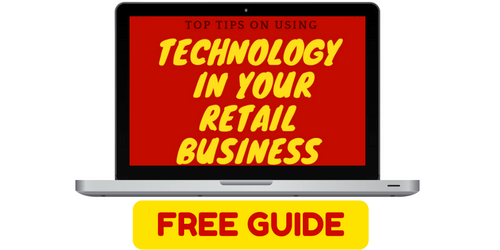 You’ll find loads of advice on having a website or an offer, an option to buy online; all needed for certain types of retailers as we know. How about though for the everyday retailer who maybe just wants an extra bit of cash to play around with, is there ways to increase profit with ease that won’t add cost or huge effort? Increase prices.I don’t mean to hike up the cost of everything in your store, but check if there’s areas we you may be undercharging or could get a bit more back without ripping people off. Choose products wisely. Are you offering a product that isn’t selling, it’s just taking up shelf space, space that could be used to host a new market offering that people want and need. Use discounts wisely. Don’t give discounts when you are stuck for money, but to entice customers in at a quiet time of year. Plan, so your customers know and you are careful not to lose out by giving too much away. Cut waste. Get as much out of the staff and resources you have without paying for more. Just be careful not to overwork your staff as they are a great asset to your business. Be smart with scheduling. Do you open at 7 but not get busy until 9? Don’t have all your morning staff on at the same time if not all are needed. On the other hand, if the weekends are busier don’t have the same amount of staff on as during the week. Always ensure however that you have enough staff on, people don’t have patience and long wait times can lose you customers. Know what you are giving away. Seeing exactly what each employee is getting paid makes the costs of their effort real to you. Use as few suppliers as possible. The more suppliers you deal with the higher the costs of deliveries and accounts admin. When you buy from fewer suppliers you may get a better deal on pricing, you will build a relationship which may allow free shipping or even exclusive offers. Adding to this the reduced cost of admin, ensure though that they are providing the best products for your customers. Know your stock levels. 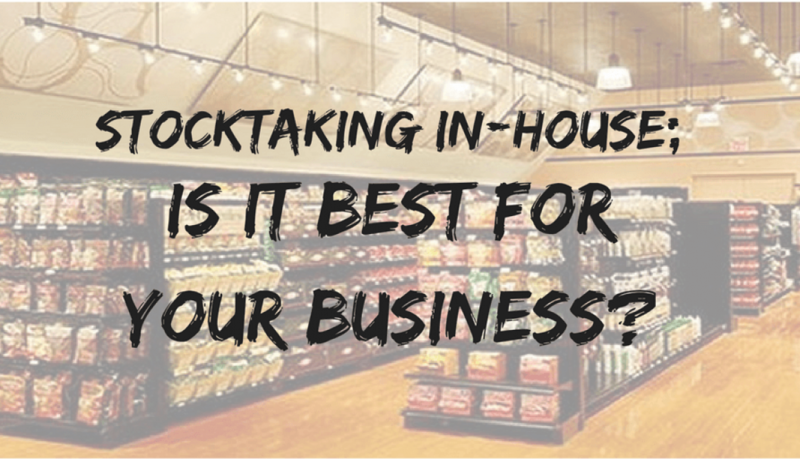 A knowledge of the levels of stock you have in your store is essential, knowing what, when and why to order products to ensure stock on hand is used. These cuts back on storage space needed (warehousing) and most importantly for perishables, waste due to spoilage is reduced. If it’s waste- Find ways of controlling this, account for everything thrown away or used by employees so every item used is accounted for. 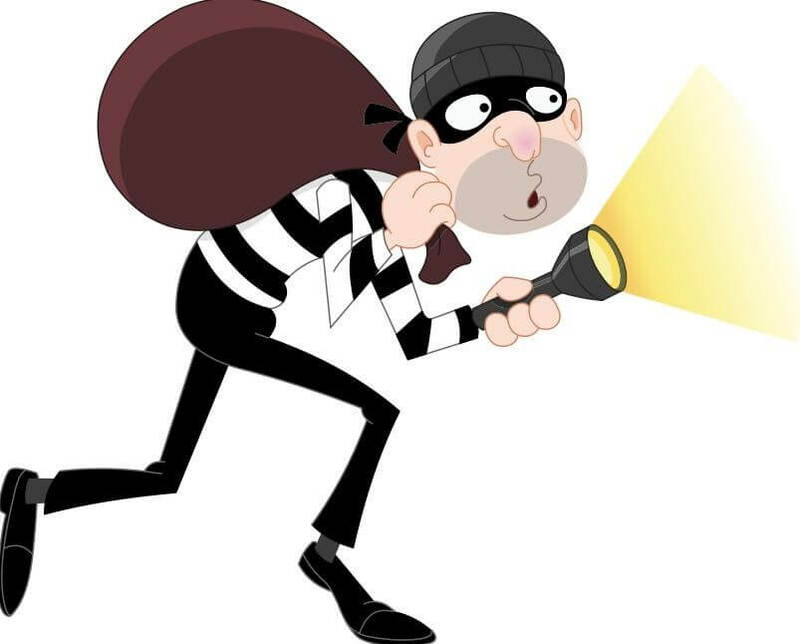 If it’s theft- Find out who the culprit is. It could be your customers, staff taking stock or giving discounts to their friends, incorrect pricing or overcharging from suppliers. Once you have figured out where your highest losses are coming from, plan to combat this. This could be employee training employees, installing cameras or something else. Have a read of our blog on 10 ways to reduce stock losses in your company for more ideas on how to combat losses. It is true that on initial thought stocktaking in-house seems like a more cost-effective option for your business. Why pay someone else to do it when you; have staff that you are already paying, that know your store and the products and can do it at a time of your choosing. These are areas of in-house stocktaking that people don’t account for when calculating costs and accuracy of their stocktakes. Reports are received on the day of the count without delay. There’s a lot more to the costs to in-house stocktaking as initially thought, so remember to consider all costs and time spent on planning the stocktake before deciding that it is the cheaper option. Sometime the cost reflects quality; is your business worth it? For many managers stocktakes, whether monthly, yearly or anything in between are usually the most dreaded time of the period. The mundane chore of counting every single item on the shop floor, in store room and warehouses as well spending minutes or even hours in fridges and freezers, all to do it again in what seems like no time at all. Funny thing, this isn’t even the worst part! 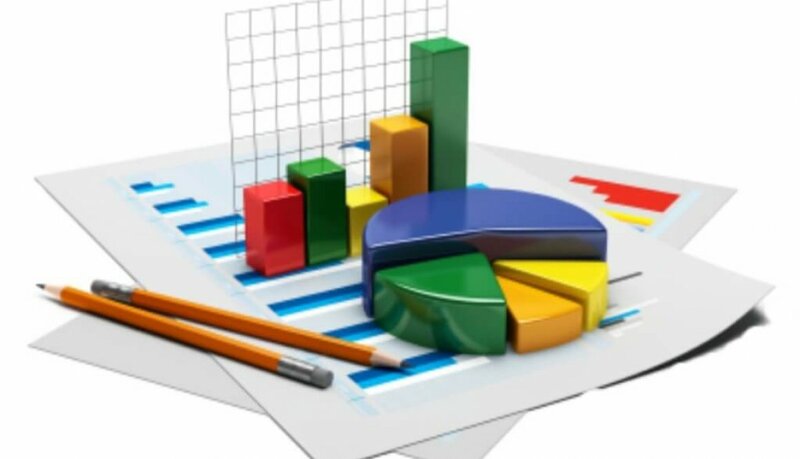 After all your stock is counting and accounted for you then need to sit down, probably at a computer screen and spend hours entering this data into a spread sheet, calculating costs and different measurements, entering the deliveries for this period all to view a single figure that is your gross profit percentage! Good news! There are ways to make this easier; first, take a day or two, not a day off, a day to clean up, clear out and get organised. 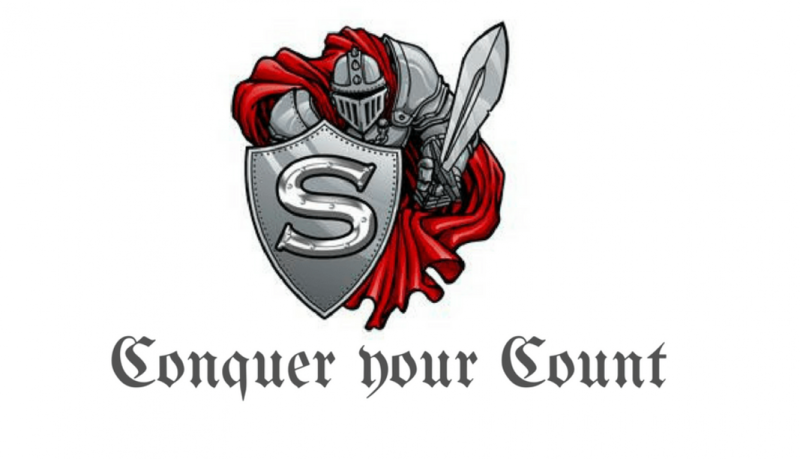 Set up a system that will work for you and your staff. 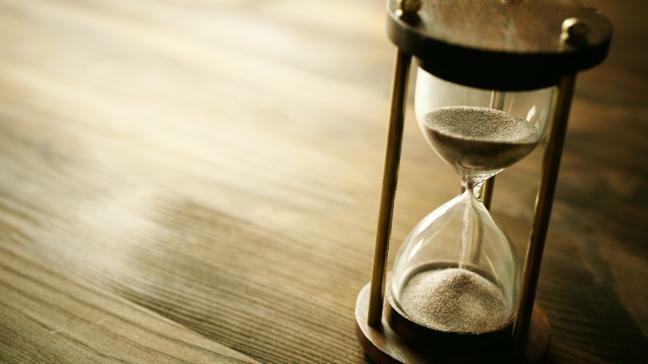 The time you save will outweigh the time you spent, tenfold. Once your new and improved system is in place, ensure all your staff stick to this new set-up. Don’t count individually. If your AA batteries come in a case of 12 and never vary, count them as 1 and account for the amount inside at the end, eliminating mental calculations that are often a struggle or lead to an increase in errors. An important thing to note here is to try and keep control over what is being opened and making certain that the previous package of this item has been used completely. An accumulation of half used produce makes counts more difficult, messy storage areas and a higher likelihood of spoilage if your stock includes perishable goods. If you have counting templates for your items adjust these to suit your counting flow. You want to fly through these counts and knowing where every item is in your store room and on your sheets, will speed up the process. Change your inventory sheets to reflect the order in which you have your store area set up. If you are using scanners and most of your items are barcoded you won’t need count sheets however, sticking to a flow or trail will allow you to count quicker and not overlook any areas or stock. Unfortunately, no matter how much you tidy up, you cannot avoid the horror double entry. All that data that you collected must go somewhere to be of any relevance or give you an insight into how your business is going. But there are ways of easing this data entry; banking on the fact that you have some experience in excel. Set up a template in an excel workbook to include your products, case costs, case measurements and so on… You can find these templates online if you are unsure of the correct calculations. There is no easy way to add deliveries unless you have been accounting for each one as they arrived, since the last stocktake you carried out. On top of this there is the issue of damaged goods or allowances. Accounting for these is one area of business that if you avoid, you end up questioning your margins and wondering why and how? However, if you want to cut out all staff training, count sheets and most importantly double entry you can always choose to go with an external stocktaking company. 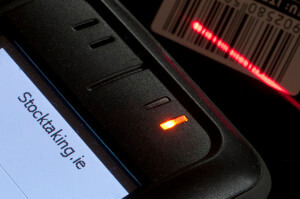 Stocktaking.ie provide counters that are the best at what they do, the highest quality equipment that allows for efficient counting; “in and out, job done”. Not forgetting the most important offering, receiving your reports on the day of the stocktake, no messing around with double entry and spending days trying to reach your correct profit margins. Want to count your stock in-house up to 68% faster? check out EasyCount.io! 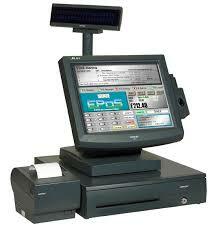 Your EPOS system is a great asset to your business, many businesses do not realise the full extent of what it can do. It is an expensive tool but is often used as a cash box rather than to manage stock and cash flow more efficiently. Use it to track transactions, restricting employees on what they have authorisation over. Set the system to only allow discount, refunds or voids to be carried out by a manager. Link it so card payments are processed at the EPOS terminal, some of these are automated to read the total amount onto the card reader automatically. If the amount had to be keyed in manually by an employee it is not integrated. There are many reasons why these would not be integrated; usually due to costs. There are many potential culprits causing the decline in your stock. Your customers, employees or suppliers are all possible threats to your business. Your Customers – Usually for personal use or to resale. Your Employees – There are various reasons that employees steal from their companies from lowering prices for friends, dissatisfaction at work. A modern EPOS system can reduce this. Your Suppliers- Suppliers and contractors might overcharge you, resulting in costs for services or products that you never actually received. Incorrect pricing– pricing items incorrectly would both be examples of errors that will add up to significant losses. Install CCTV. Installing visible security cameras throughout the store and storeroom has been proven to deter thieves. Be conscious of having cameras visible to the public but also subtly remind your employees that the security cameras are working and monitored often. Review the cameras weekly, even if there are no clues of shrinkage. 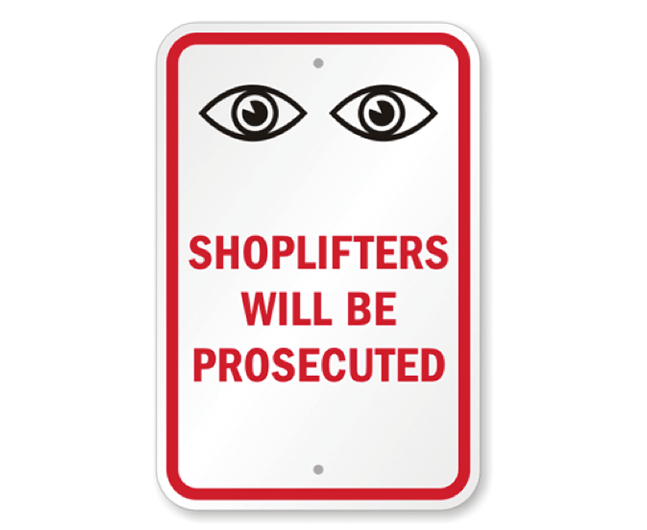 Erect signs- Post anti-theft signs around the store, warning of penalties that may occur as a result of theft. Placement- Near the entrance/exit of a store is the optimum position of the cash registers. If possible try and have your store, if not some of your store visible from the till. Valuable items should be placed a close to the till as possible for ease of surveillance. 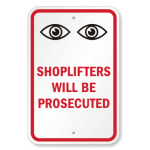 Shoplifters are less likely to act if they know surveillance is high. Secure stockroom- Ensure your stockroom isn’t easily accessible to everyone, even to all staff members in some cases. Having limited access allows you to choose who has contact with back room stock, cutting down on potential theft. Educating your employees about retail theft – It is important to educate your employees about the effects of retail theft on your business. 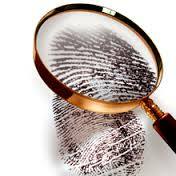 Encourage employees to monitor people closely and be aware of suspicious behaviour. If they see this behaviour that they know to ask if any assistance is needed, to let the customer know they are being watched. Train them to know what to do in the event of a theft occurring. Give your staff a reason to focus in on these issues, praise their observation skills and reward them if possible. 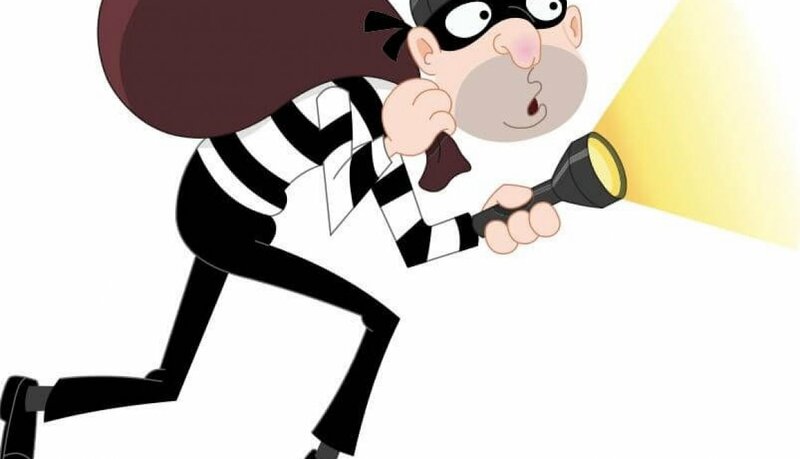 Make staff aware of any implications if they decide to use their position to take advantage of stealing of giving away products at reduced prices. Make certain that your employees are aware of any scams that you hear about, there are always new tricks that appear which are hard to keep on top of. Try and stay aware of these and keep your staff in the loop also. Millions are lost every year due to scam artists. RF (Radio Frequency) or RFID (Radio Frequency Identification) should be used in retail stores to combat theft. 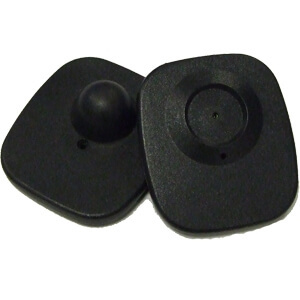 RF tags would be the more common used security tag used, but both set off security sensors if someone attempts to walk out of the shop with tags still attached to the merchandise. RFID tags have chips embedded in them. These chips contain information about the product and allow you to track items using their stock control system. 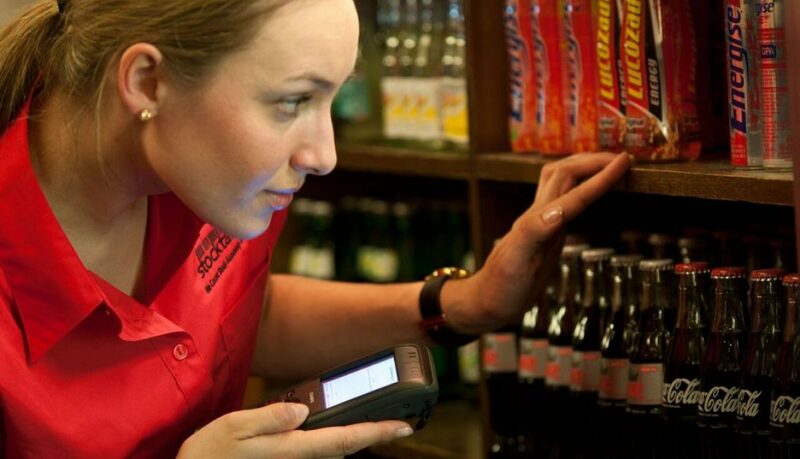 RFID enables merchants to locate items and ensure that products are in the right place, at the right time. 7. Run a Live-stock system. Have a system in place which enables you to follow the movement of each item of stock at the click of a button. Having control over your stock from arrival to purchase will help eliminate discrepancies and allow them to be identified easily. The use of a system will allow this to run more smoothly. For access to scanners when processing orders or deliveries provide a username and password for each employee individually. Use this system for access to the till EPOS also. This locked system will allow you to see who exactly was involved in each transaction whether front-of-shop or back. Your stock is your livelihood; it is essential you know exactly what stock you have on hand as there are so many deliveries and sales processed every day. Ensuring you carry out stocktakes as often as you need is essential. Have a read here for tips on how often you should conduct a stocktake. When it arises that there has been a discrepancy it must be looked into! Examine which products are causing issues through stocktaking or analysing a specific department. If these are due to breakages ensure they are recorded and not being accounted for. The final note here is to remember that everybody in your store is accountable for items missing, stolen and broken. Employees knowing there is an onus on them to have responsibility for any discrepancies that occur under their watch will always be more careful. Did you ever look at the price of an item and decide that ‘it’s crazy’ and ‘not worth that price!’? We all have, but in many circumstances we don’t take in account the work that has taken for it to get to the shelf in front of us and how all of these steps along the way add to the final price we pay. Price is the amount given as payment by one party to another in exchange for goods/services; but what does it reflect? It all depends on what you hope to achieve from this product, how much benefit it will add to you/your life or your business. If it brings great value, you should be willing to pay for it. 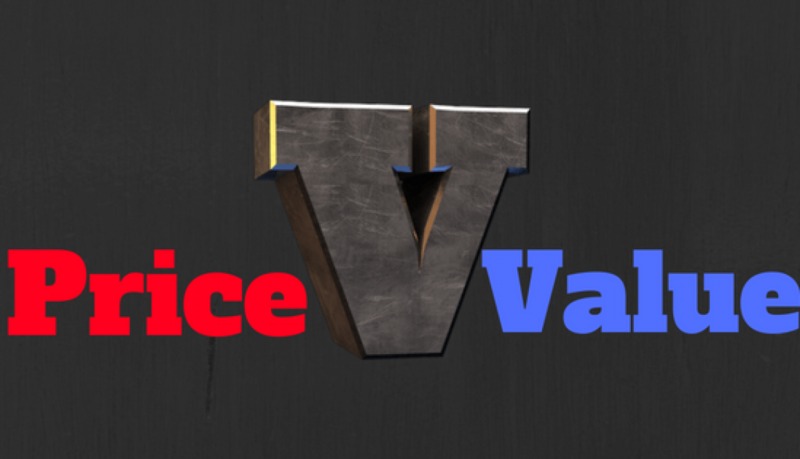 Value is something that is regarded as having importance, benefit or of high esteem. These qualities are built up from a process of hard work and high underlying costs, explaining why high value is often reflected by high price. As the seller, the main questions you need to ask yourself are; does the price of the offering reflect the value the customer is receiving? Are you maintaining quality standards and constantly working to improve on what you are offering? If you are answering these questions positively then you have no reason to question lowering your price. In certain circumstances a lower pricing structure is seen as a sign of low quality, so stick to your guns, if the service provided is of great value don’t lower the price unless it is totally necessary. If you are the buyer of this product or service you need to stop and think about what is important to you. If you are buying a car or a house would you want the lowest price or the best quality? I would take a stab at quality in the form of security and reliability. In everyday life however, only you are affected. Who does it affect in terms of business? Do you really want to reduce security and reliability in your business? It goes without saying there will always be a cheaper option, but at what cost? It is usually at the cost of quality. In the vast majority of cases however, decisions are based on pricing in total isolation from any other criteria, especially quality. Unfortunately, allowing quality to slope in order to save money leads to a lot of rework and a higher cost as a result. Stocktaking is one area where electing a new service provider based solely on price means cutting corners on quality. These trade-offs can have painful effects on final results and a rework after this price based decision has been made can be a huge undertaking. 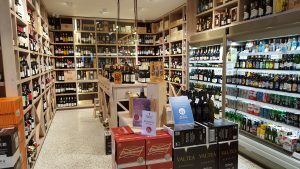 Stocktaking; who needs to plan for it? It’s just counting isn’t it? No, there is a lot more to it than you may think and unfortunately some people discover this too late. Failing to plan is planning to fail here. To stay on top of it, try out these tips to help you ease the stress of stocktaking. Preparation is key; a plan needs to be in place and all people involved must be informed of this plan. 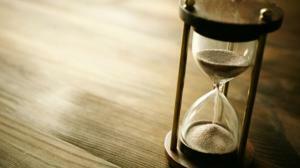 A time must be carefully chosen and an estimated length of time that it will take. Each area should be divided into sections with a certain person/people assigned to each section. The stocktake will run more smoothly if all people involved are of similar understanding of what is required on the day. The ‘front of shop area’ and the stock room need to be tidy and ready to be counted to ensure accuracy. Organise shelves into straight lines, this allows for ease of counting- making the count more efficient. Tidy all shelves, boxes and crates in stockroom so that bar-codes are easily accessible. A messy stock room, front of shop or having items thrown in a corner another room can lead to items being easily omitted from the count. 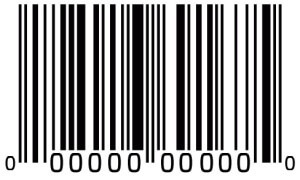 Check and double check that all bar-codes are correct, scanning and prices are correct. Add temporary bar-codes on items that do not have one. It will save time on the day of the stocktake and also allow for correct valuation of stock. If you are renting equipment, ensure that it’s working and that you have someone present on the day that will be capable of dealing with technological issues. If you are using your own equipment ensure to have everything on your system updated before the stocktakes commences. Whether you conduct your stocktake in-house or use an external company, rechecks must be undertaken to ensure accuracy. Carry out these rechecks in random areas on different member of staff as anyone can make mistakes and you must be thorough. It is also important that you recheck high value items as these are areas where discrepancies can skew actual stock value massively. 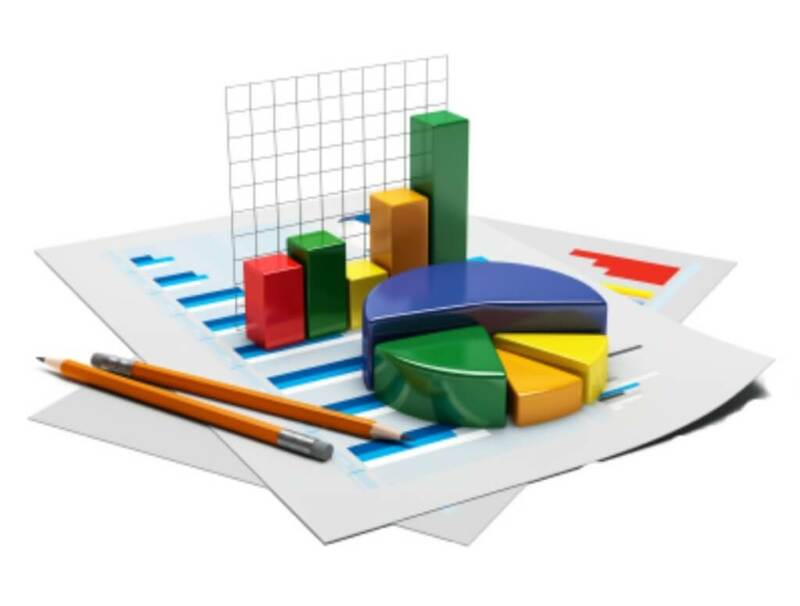 Assemble data into summary report format, this is important for your accountant and also to know where you stand in regards stock but also financially. 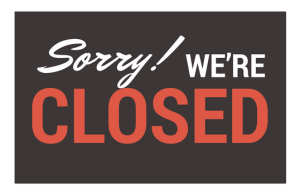 Closing your store can lead to loss of business. Customers will not understand a reason behind why you have shut up shop. Your customers don’t appear or become loyal overnight, don’t give them a reason to veer away from you. Try these out, but before you do so take all the costs into consideration. Compare all these prices to the cost of outsourcing your stocktake externally and ask yourself, is the hassle worth it? Social media may be the most efficient, cheap and fastest way of increasing awareness. Sites like Facebook, Twitter and Instagram offer companies a great free-of-charge platform to promote themselves by building their brand and audience. It is important that your posts are relevant, interesting or fun, interactive and regular. According to research carried out by Hootsuite, Starbucks is the best performing brand on social media, check out their activity and see why. Word of mouth for your business can be spread by both customers and staff. Word of mouth is priceless across all businesses but especially for your bar/restaurant. 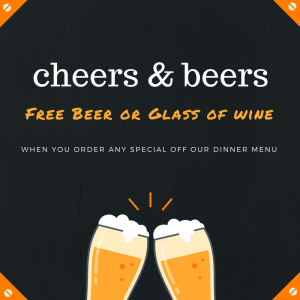 Take advantage of your customers, there is no onus on them to sit in your bar/restaurant; it is a choice, because they like your food, the atmosphere or staff. You can trust these people to give you a good review, spread your message, talk about you; they are your friends, fans and followers. People want genuine, realistic, real life reviews that make sense to them. As the face of your business your staff should be used as much as possible. Get them to post to relevant social media channels. Take an example, if you have 20 staff members, each with 500 friends on Facebook/Twitter/Instagram; that gives you a potential reach of 10,000 people. This can also have a positive effect for the staff themselves, the more business you get the more tips and hours they get in return. Visual representation has been proven to positively influence customers and remain in their memories. Some restaurants use a mascot, a logo or a tag line, however these don’t work across the board so figure out what suits your business. Signage, colour schemes, uniforms, style and consistent methods of customer interaction can embed brand awareness in the minds of the public. People are generally simple creatures, so there is a simple goal; Treat them well and they will return, possibly with a friend in tow. You can also give people an incentive to post about your business on social media, give them a free drink for checking in or posting a picture. You can also go the route of adding extras, such as a free entry before 10, free drink with a certain dinner or free meals for children under three to further build a brand. You can also take advantage of spreading the word on social media by Taking brand conducting a contest/competitions among your customers. 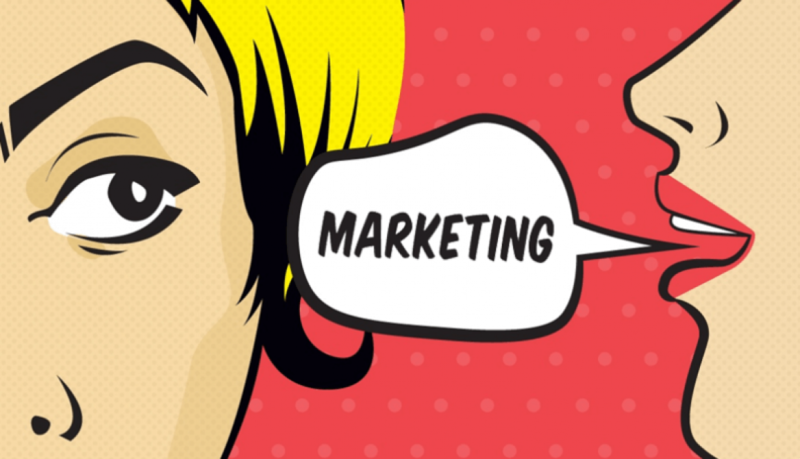 Advertising constantly is important to stay in the mind of the customer. Remind the customer of the most important aspects to help the customer choose you over a competitor. Location, menu, price and opening hours are the most important here. Door-to-door flyers, direct mail and other publications (whether local newspapers or online publications) are good ways to build awareness. Local radio stations, and highly visited local websites are also good places to advertise and raise brand awareness. Holding a l ive event is a great way to get the attention of clients and prospects. 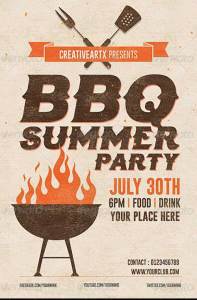 This could be just social like a barbecue or a Christmas party, or structured around business development such as a launch of a new product or promotion. Holding a live event opens up opportunities to meet with potential customers and offers the opportunity for them to experience the look, feel and personality of your brand. Consider raising funds for charity at your event or adding a theme to your event to add some spice or give back and do something good. 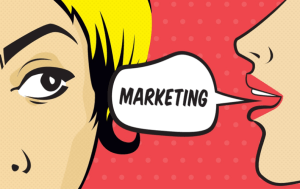 Sponsorship of an event or product is a solid and proven way to reach a target audience and increase brand awareness. Sponsoring a product, team or event that is relevant to your message and your target market comes with limitless opportunities to increase awareness. An event can entitle your company to exclusive face-to-face time with attendees as well as open branding opportunities. Your website is a main communication toll between you and your customers – it is used for promoting the restaurant, giving information about daily deals, prices, menu changes and announcements about events in your bar/restaurant. According to recent research, 75% of smartphone users are finding information about restaurants as they come out, and even 50% of them make a search in the car. An online food ordering service will definitely increase traffic. Some people prefer to see and choose the dish from your online menu and order it directly from the web site. • Install a Modern Point of Sale System- Electronic point of sale system (EPOS). • Self-service tills in larger stores. • Technologies that can support your employees. These allow them to search for information they need in real time, producing for better customer service. • Get listed on Google Maps listings can drive real-life traffic to your store. If you have a detailed listing on Google Maps, you can reduce the rate of customers you lost to nearby competitors. You can increase overall efficiency and improve productivity by embracing new technology at your store. It can also relieve your employees, allowing them to focus on more important duties. 2. Streamline your Staff – Organising schedules can be time consuming for both management and their staff, especially when there are several people/stores involved. 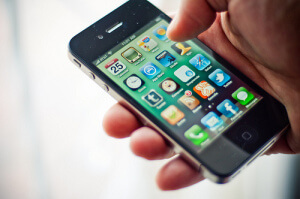 Many stores turn to mobile apps which enable the user to set or cancel shifts using just their mobile device. Wheniwork is a great example of one of these apps. 3.Staff training and In-store support – As the faces of your brand, your staff are a main focus point of your business, it is important that you understand the importance of staff training as these people are representing your store and brand. Training shouldn’t stop at just initial preparation but continue to develop the employee’s knowledge of the company their role. It is key is to invest time and money into your employees to reap the rewards of strong sales associates and as a result. Having the correct amount of staff on site is a major issue in retail stores; a healthy employee to customer ratio is essential. It is vital that you have enough staff on hand to help customers; however having too many associates on the floor isn’t very efficient, in terms of costs and space. 4. Employee rotation – Long shifts at work do not pay off. If your employees are at the store for longer than 8 hours, there will be a higher tendency to slack off. They will be tired and less enthusiastic about work. If you want your employees to stay focused and dedicated the longest shift you should allow is 8 hours. 5. 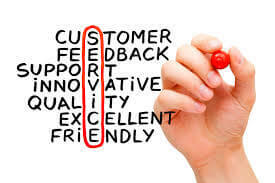 Customer service and loyalty programmes – Businesses need constant improvement. Customer feedback is the best way to realise any problem in your store, customers are in the best position to tell you what they don’t like about your store. It’s a must to rectify these problems to keep appealing to new customers and to retain the current ones. Loyalty programmes are a great source of gathering customer insights, these schemes allow you to look into your customers’ purchase history and shopping behaviour, making them easier to target with notifications, discounts and offers. 6. 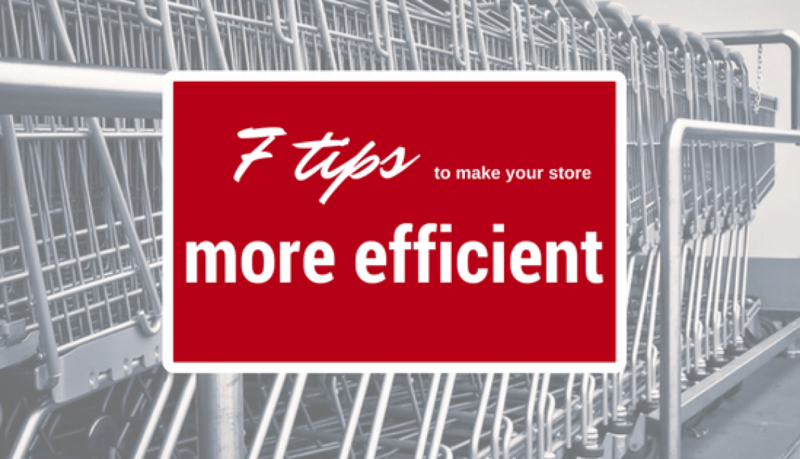 Measure KPIs and objectives – Store budgeting can be a nightmare, but it doesn’t have to be. It is important to measure KPI’s and set realistic objectives. Keeping on top of sales figures and other analytics in your business will allow you to recognise which areas are of concern and which are thriving. They key here is changing direction before it is too late and the issue cannot be reversed.